This is the last in a series of blogs recording memories of Wheatland, a small town near the western border of Pennsylvania where my family lived from 1945 until 1949. Ah, what memories. When I was growing up, you could see the light from the dumping of the ladles all over the valley. Up on the hill in Farrell, where I lived, the night sky would light up with a bright orange glow. This was even more intense in the winter when there would be snow on the ground that would reflect the glow from the sky. 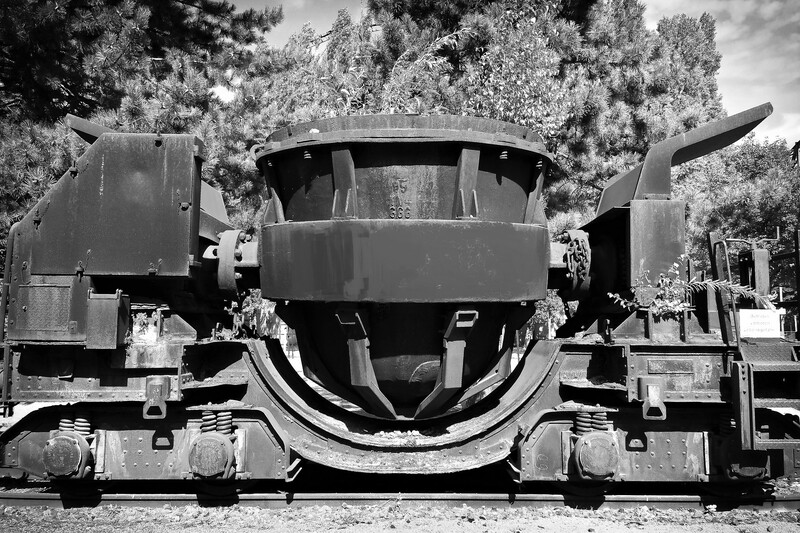 And quite often, you would hear a dull thudding sound, when the engineer would lurch the train forward to shake loose the nearly solid slag residue that remained in the ladles. If you were watching from a fairly close distance, as I would sometimes have the opportunity to do, you would see that remaining solid residue come tumbling from the ladle in one big chunk, and it would finally collapse into the pit. Quite often, this didn’t happen until the engineer had made the train lurch several times in order to shake it loose. My father worked for Dunbar Slag Company on Ohio Street, just on the opposite side of the river from Wheatland. This was located on Sharon Steel property and the molten slag pits were not far from their location. There were times we would go over there at night to see the dumping of the ladles from a close proximity. Very good memories, indeed. Your experience of walking to the Wheatland elementary school seems comparable to the stories my mother has always told, especially about the trains. And your description of the elementary school experience at the time was not all that different from hers, in fact, it really wasn’t all that different from mine, with the exception of the walking distance. Fortunately, I never had to walk more than three blocks when I was in elementary school. There is one thing, however, that you were incorrect about and that relates to the Wheatland high school students being bussed to school. They never actually did that. As my mother would attest, they had to huff if up over the hill all the way to Farrell High School. And walk home. Everyday. Apparently, you weren’t aware of that because you had moved to Sharpsville by then. Even in my day, when the Farrell School District starting busing elementary students to schools outside of their own neighborhoods, all high school students still had to walk. I had a one-mile walk to the high school, but at least it was not as steep a grade as the Wheatland students still had. There was room in the shack [on Second Street] for an upright piano that the nearby Methodist Church gave me when the church was donated a new one. Both Michael and Ann began taking piano lessons from Professor King and did so for many years afterward. The Professor was a retired older man, who was impressively tall, intellectual, and always meticulously dressed. He made house calls to his students, a modern-day version of the traveling musician. The Professor would walk from one house to another in Wheatland, teaching children, black or white, the basics of playing the piano or violin. 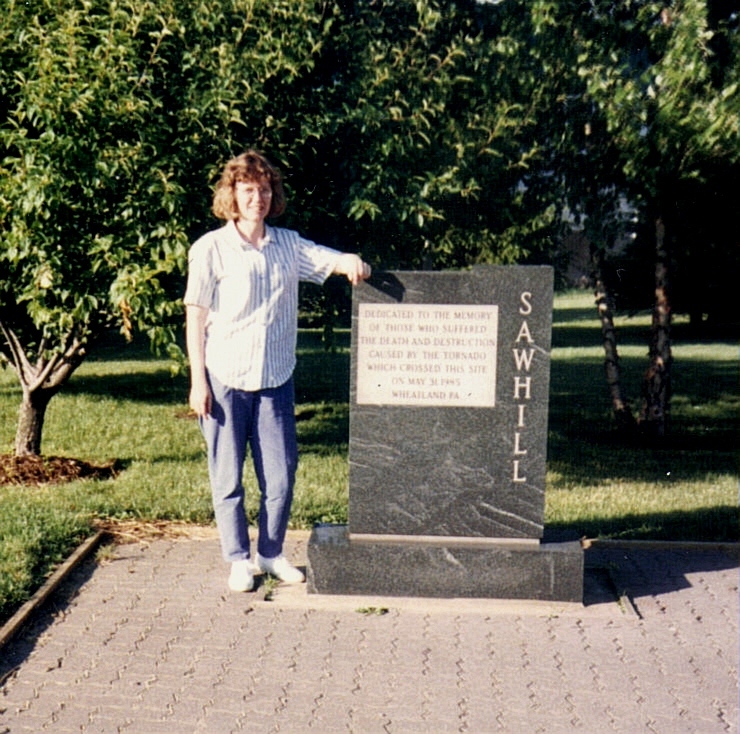 My brother and I continued our lessons with him when our family moved to Sharpsville. By this time, we rode the bus to his Wheatland residence. Eventually, he lived in an apartment in Sharpsville, and we walked to our lessons with my mother. I remember that, as she took her turn at her violin lessons, I would lose myself in the stories and black-and-white photos in his stack of Life magazines. 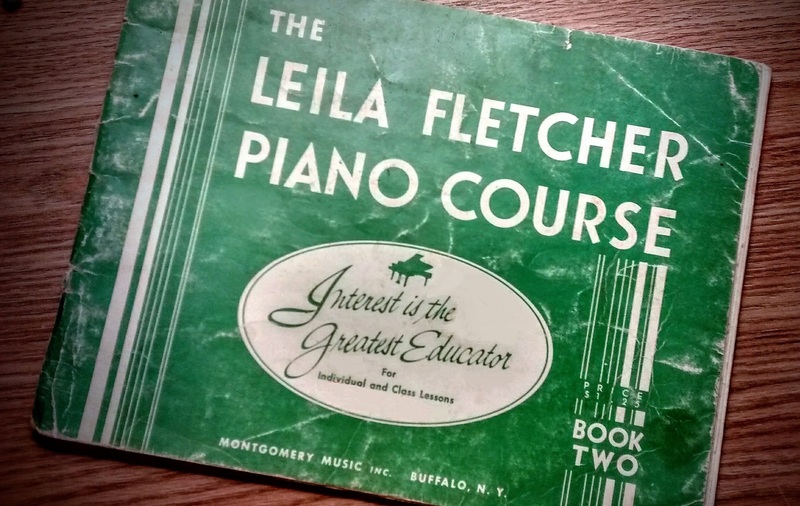 My brother and I continued our piano lessons with various teachers throughout high school (and I did so into my college years) thanks to our parents’ encouragement. 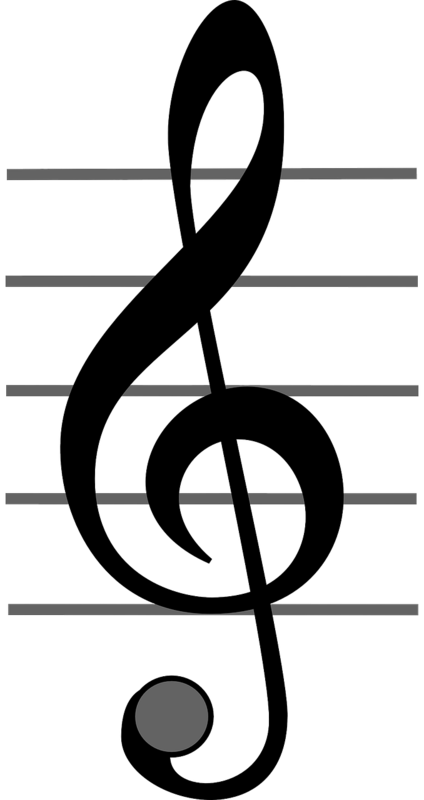 Looking back, I now appreciate not only my parents’ resolve but also the Professor’s efforts to provide us with a solid foundation in the study of music. Mike Angel & playmate. Wheatland, PA, April 1950. The area in which our family lived in the Wheatland flats was semi-rural, allowing us children plenty of room to play at our various outdoor activities. 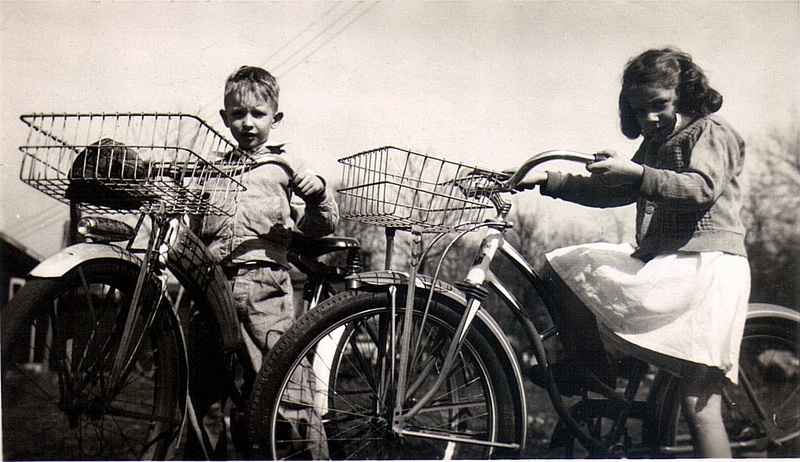 Dad bought us second-hand bicycles and helped us learn to ride them. The bikes were a bit too large for us at first which made learning to ride them a challenge. But we persisted, and soon enjoyed the feeling of freedom and the excitement of speed as we rode with our friends up and down the cinder-covered dirt road that was Second Street. I think my brother’s blue bicycle was a Schwinn. I know my red and silver bicycle was a Raleigh. It had a wire basket and a curious row of holes along the rim of the rear fender. I either imagined or was told that string or wire used to be threaded through the holes and connected to the axle, forming a protective web that kept little girls’ dresses from being caught in the spokes. Although our street had no sidewalks, that didn’t stop us from roller skating even if we had to carry our skates to other blocks in the neighborhood to do so. The sidewalk in front of the church on Church Street was our favorite because part of it consisted of dark gray slate slabs. Oh, how smooth that surface was compared to the bumpy ride on concrete walks! Our skates were all-metal with leather straps, typical of kids’ skates in those days. We used a skate key to turn bolts and lengthen the skates as our feet grew and to tighten the clamps that held the skates to our shoes. In those days, we had no inkling of smartphones or video games, but we had plenty of things to do. On long winter weekends indoors, we had coloring books and comic books (which we traded with friends) to keep us busy. Then there were the summer playground activities that were provided for us by the town. I created quite a few brightly painted plaster of Paris figurines — including small busts of Abraham Lincoln and George Washington — for my parents to display on the family bookshelf. We also had our own personal playground in the form of the cherry trees in our front yard. Their short height and widely spaced tree limbs were perfectly designed for climbing. The trees encircled a small open area with a table and benches, where our family and friends would sometimes gather for a nighttime bonfire under the stars. 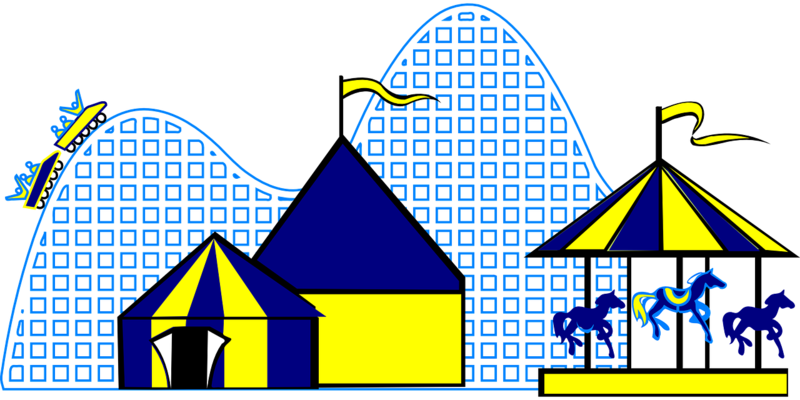 A high point in our summers in Wheatland was the week or so when colorful tents and rides of a carnival would spring up, as if by magic, in the middle of an empty field across from the church. My brother and I were given a few coins and then sent off, unaccompanied by any adult, to roam about the carnival grounds to our hearts’ content, carefully deciding how our handful of coins would be spent. I no longer can recall the rides or the food at the carnival, but the freak show stays in my mind, as grotesque to me now as it was then. Hearing the carnival talker shout, “It’s all right here! Sights that will scare you, that will astound you! See the bearded lady, the strongest man in the world, the amazing contortionist!” piqued my curiosity enough to pay the entry fee and enter the tent to see for myself. One of the shows featured the Spider Lady. You peered into a lighted box and saw the head of a lady on the body of a huge black spider. It was obvious even to my young mind that it was an illusion created by mirrors. Another “freak” was a man who claimed he could bite the head off a chicken. This was the most disturbing act, but it too was trickery, which was fortunate for the hapless chicken. Of all the carnival games, I was sure to visit the Duck Pond because I won a prize every time I played. All I had to do was pick up one of the little yellow rubber ducks from the many floating by in a trough of water. The number on the bottom of the duck matched a number on one of the various prizes displayed on the shelves along the back of the tent. I never won the grand prize of a large stuffed toy animal or a curly-haired doll in a fancy gown, but I was happy enough winning trinkets, such as a shiny ring, a plastic comb, or a tin whistle. Indeed the flatland in the southern part of Wheatland was once a little community, populated by residents of various backgrounds. According to the U.S. Census of 1940, many of them were relatively new to the United States, including Romanians (as was my grandfather), Polish, Hungarians, Slovakians, Austrians, Germans, Lithuanians, Czechs, Scots, Croatians and Italians. There were others who were African-American and white southerners (including a few of my mother’s relatives from the Appalachian Mountains of Kentucky) who traveled north to find work. The men were mostly hard-working clerks or laborers in the local sheet mill, steel mill, Malleable Steel, Tube Company, Westinghouse, tin mill, the coal yard, on the railroad or the “road project.” The women kept the household running and the few who were employed were teachers, waitresses, seamstresses in the “sewing project” or domestics. The projects were possibly home-front WWII efforts. There were still over three decades yet to go before the tornado destroyed the town. Although I no longer lived in Pennsylvania by then, I can imagine the succession of families quietly living out their lives in the flatland of the Borough of Wheatland, Pennsylvania, before the community was gone forever. Ann Angel Eberhardt (SHS 1958), Goodyear, AZ, December 1, 2016.